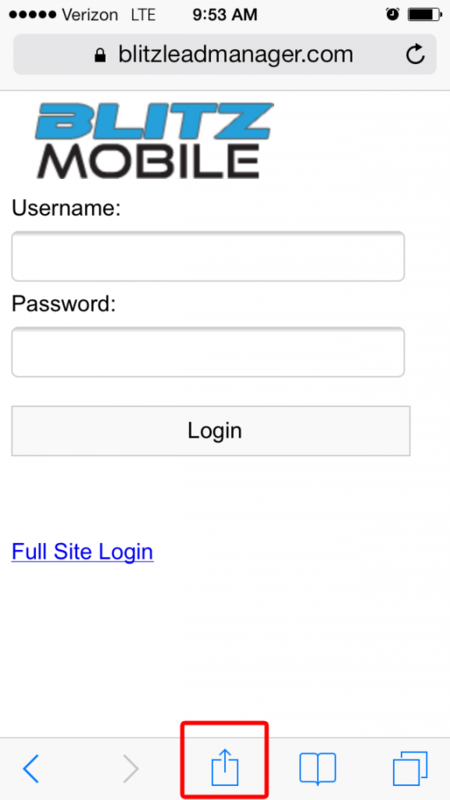 How do I add Blitz Mobile to my Android or tablet? 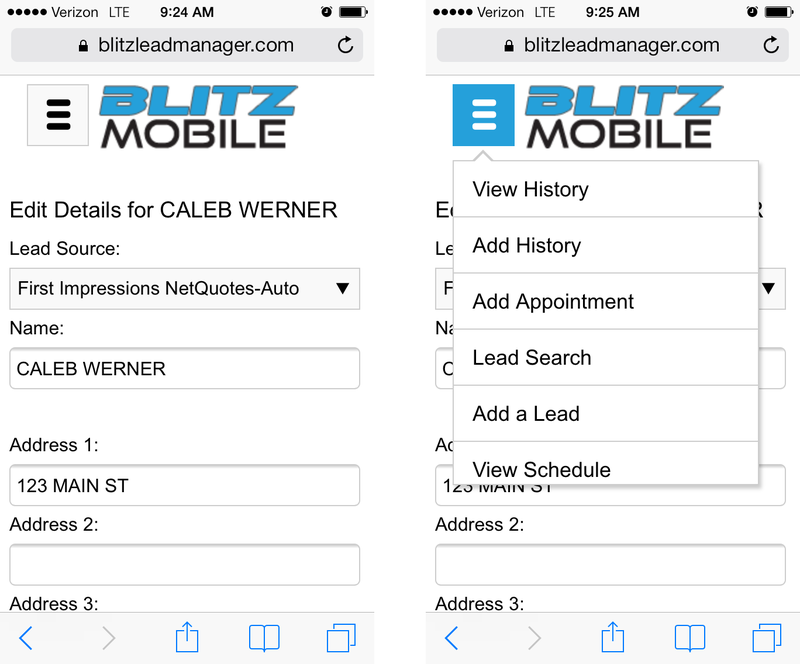 How do I add Blitz Mobile to my iPhone or iPad? What is available on Blitz Mobile? Add https://blitzleadmanager.com/login/m to your bookmarks in your android’s browser. Go back to your home screen. Press and hold an unoccupied space on your android’s home screen. 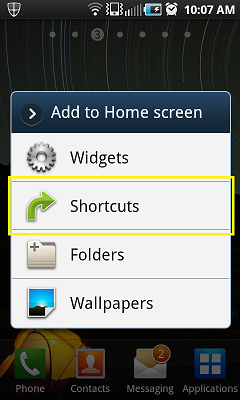 On “Add to Home screen,” select Shortcuts. 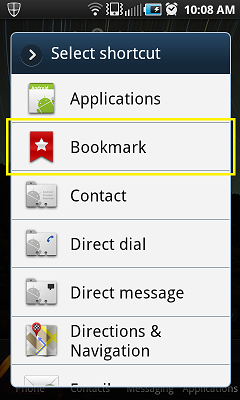 On “Select Shortcut,” select Bookmark. Choose your Blitz bookmark that you added in step 1. Open the Safari browser and go to https://blitzleadmanager.com/login/m. 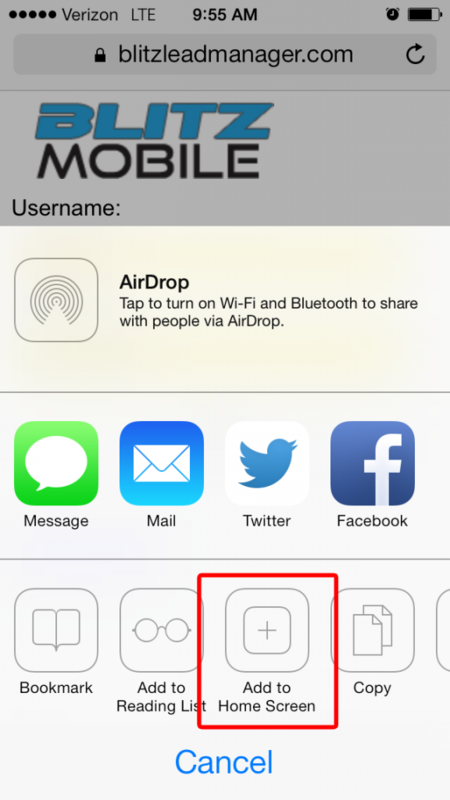 Click the center icon on the bottom of the screen – looks like a box with an arrow. 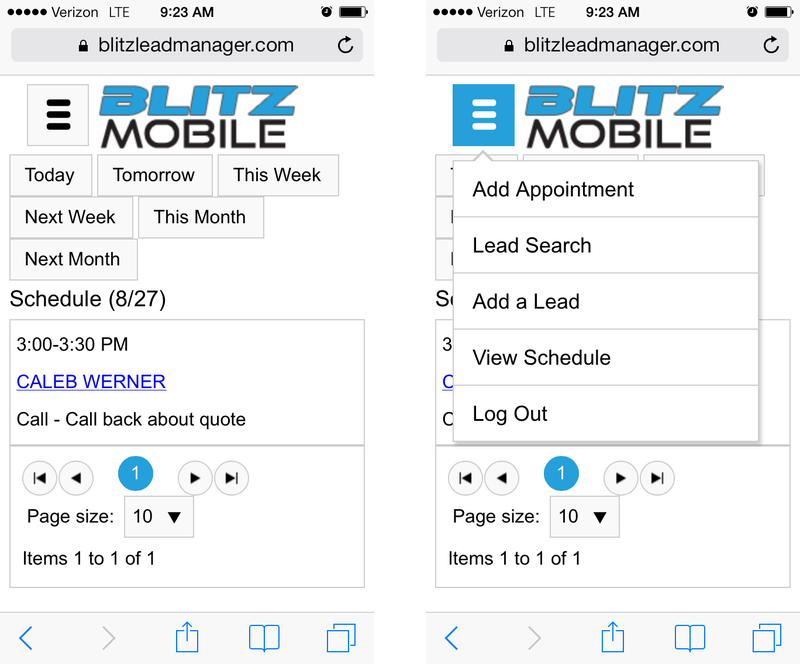 Easily find leads on your schedule, search for a lead, or add a new lead directly from your mobile phone. Click the menu icon on the top left to switch to another screen, or click the lead’s name to open their information. While viewing a lead, your menu options will change. This allows you to easily make changes to a particular lead.